Born April 21st, 1828, Samuel Cadman was associated with our church more or less through life, having given himself to Christ in the flower of his youth. Gifted and devoted, he soon secured a place on the plan, a position he retained for fifty years. A powerful preacher in his prime, he was in considerable demand for special services in other stations. Failure of voice compelled him a few years ago to lay aside this delightful work. Every office that could be conferred on him was his in turn, and he filled them with fidelity and success. He was often delegate to District Meeting, and more than once to Conference. It was Mr. Cadman’s delight to tell of the stalwarts who figured in the days when the circuit was part of the famous Wrockwardine Wood Station, and of the great Camp Meetings on the Wrekin to which his father often took him when a boy. These were the days of long tramps on foot to appointments, and it was not uncommon for Mr. Cadman to reach home at midnight, and start off early next morning to his day’s work. But with all his love for the old he recognised that changed times necessitated new methods, and that it was the soul of Primitive Methodism and not the body that should be carefully preserved. Mr. Cadman’s farewell to life was sudden. Though seventy-eight, he seemed likely to live for years. The doctor, when consulted, gave him two or three years, but it proved to be only two or three days. Coming down to breakfast as usual, he staggered and fell, and in a few minutes he drew his last breath. On May 31st, 1906, a large company followed him to the grave. ‘The relatives desired that the interment should be a Nonconformist one, and although this could not be claimed as a right, the deceased having lived just outside the bounds of the parish, the Rector, Rev. T.L. Underhill, courteously conceded the privilege, the writer officiating. Rev. E. Ball conducted a memorial service at Ketley Bank Chapel. To the large congregation the preacher, who had known the deceased for a life-time, delivered an appropriate sermon. Mr. James Harris also conducted a memorial service in Ketley Chapel, July 8th. 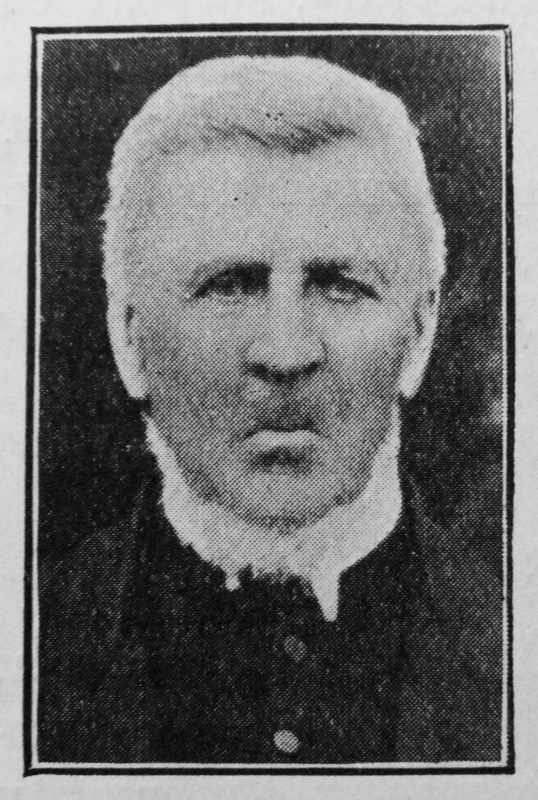 Twice married, Mr. Cadman leaves a family of six sons and two daughters, several of whom are associated with the Christian Church. Of these are Rev. W.L. Cadman, of the Methodist Episcopal Church and Rev. S. Parkes Cadman, D.D., of the Congregational Church, Brooklyn, the latter having an international reputation as a pulpit force. Samuel was born at Wellington, Shropshire, to parents Robert, a miner, and Sarah. He married Mary Ann Hollyhead 91832-1857) on 24 December 1850 at All Saints, wellington, Shropshire. Census returns identify one child. Samuel married Betsey Parkes (1838-1900) in the spring of 1862 at West Bromwich, Staffordshire. Census returns identify seven children. Samuel Parkes (1864-1936) – a coal miner (1881); emigrated to USA in 1890; a congregational minister; claimed to be the first minister to preach on the radio.